The average cost of memory care in Flagstaff is $4,295 per month. This is lower than the national median of $4,650. Cheaper nearby regions include Cottonwood with an average starting cost of $3,911. To help you with your search, browse the 1 review below for memory care facilities in Flagstaff. On average, consumers rate memory care in Flagstaff 4.0 out of 5 stars. Caring.com has helped thousands of families find high-quality senior care. To speak with one of our Family Advisors about memory care options and costs in Flagstaff, call (855) 863-8283. About 140,000 people in Arizona are living with Alzheimer's and dementia, and Flagstaff is home to a portion of them. While this small city's cold mountain winters don't draw as many retirees as other Arizona communities, about 8 percent of the 72,000 residents are age 65 or older. People looking for memory care facilities can choose from six options in and around Flagstaff. These facilities are regulated by the Arizona Department of Health Services and are required to have secure entrances and exits to prevent residents from wandering. 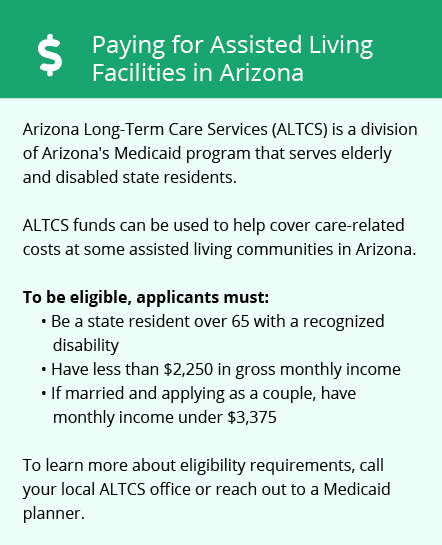 Seniors in Arizona enjoy some moderate tax benefits that may help a fixed income cover more. Social Security benefits are not taxed, but most other forms of retirement income are at least partially taxed. Groceries and medication are exempt from sales tax, but the sales tax in general tends to be fairly high. Flagstaff has a combined sales tax rate of 8.951 percent on other items. Flagstaff is an expensive city to live in when compared with the U.S. average, but a significant portion of that is housing costs which may indirectly apply to memory care residents' monthly fees. The climate in Flagstaff can be unpredictable due to its high elevation, but summers are generally cool and mild. Highs are often only in the upper 70s or lower 80s. Winter days can be fairly mild as well, with daytime highs often in the lower 40s, but winter storms drop an average of 77 inches of snow a year. Coconino County, of which Flagstaff is part, tends to have high ozone levels which led the American Lung Association to give it a D grade for air quality. This may cause problems for seniors, particularly those dealing with existing respiratory issues. Memory Care costs in Flagstaff start around $4,295 per month on average, while the nationwide average cost of memory care is $4,781 per month. It’s important to note that memory care rates in Flagstaff and the surrounding suburbs can vary widely based on factors such as location, the level of care needed, apartment size and the types of amenities offered at each community. Flagstaff and the surrounding area are home to numerous government agencies and non-profit organizations offering help for seniors searching for or currently residing in an assisted living community. These organizations can also provide assistance in a number of other eldercare services such as geriatric care management, elder law advice, estate planning, finding home care and health and wellness programs. To see a list of free memory care resources in Flagstaff, please visit our Assisted Living in Arizona page. 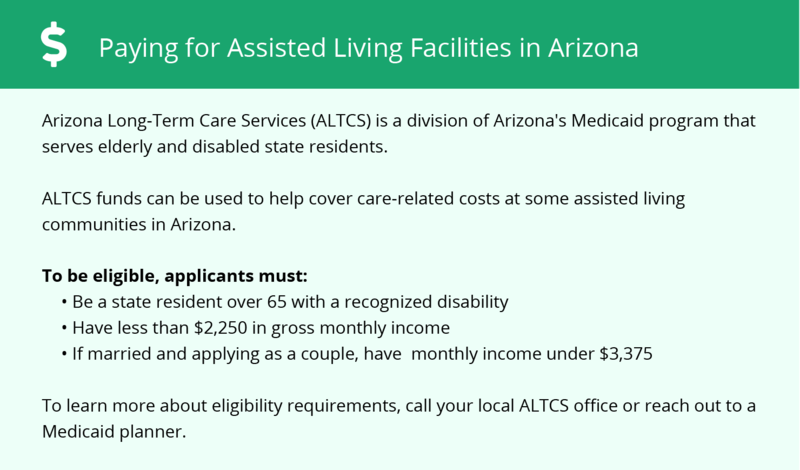 Flagstaff-area assisted living communities must adhere to the comprehensive set of state laws and regulations that all assisted living communities in Arizona are required to follow. Visit our Memory Care in Arizona page for more information about these laws.